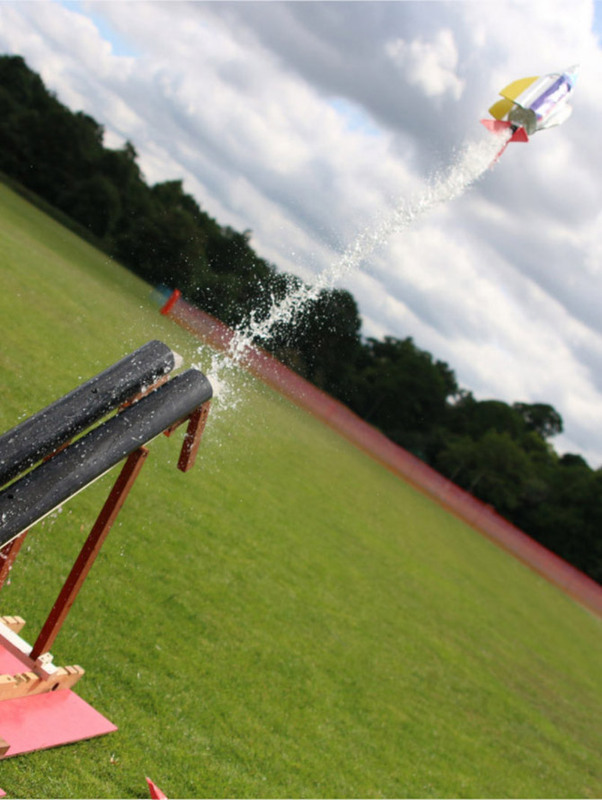 This year's Water Rocket Challenge is on Wednesday 19 June 2019. The Water Rocket Challenge is open to all schools. Teams of six from many schools have taken part in previous events competing with school-made water rockets and launchers. So don't miss your opportunity to enter. The schools-only competition takes place from 11:30 – 15:30. Please note the new earlier times. For the first time ever, we are running a special 'Apprentice League'. No pre-preparation required, just register, then turn up on the day to be given all materials you need to participate. You can even keep the kit afterwards so that you can return in future years. Join us from 17:00 to construct your own launcher and rockets under the supervision of an NPL Science Ambassador, giving you 90 minutes to prepare for the competition at 18:30. Our workshops are open to amateur rocket scientists of any age wanting to join in the fun and build their own rocket. Come along from 18:00 to make your own water rocket under the supervision of an NPL Science Ambassador, then join the apprentice and open teams for launching from 18:30. To register, click here and select ‘Open Team; or ‘Workshop’. This is a great event to watch the teams battle it out, so please come along and cheer people on. Adults will be asked to donate a £2 entry fee, with all money raised going towards the Shooting Star Children's Hospice charity. NPL constructed a water rocket powered car which featured on the Gadget Show. We also held the record for making the world's largest water rocket, launched in 2011 – using 140 x 2 litre bottles and stood 3.4 m tall – and this year we are attempting a new world record! To make sure it's a fun, safe and enjoyable event for everyone, make sure you read the rules and information. Download our comprehensive booklet about building water rockets and download our Water Rocket simulator software, as described in the booklet which helps you improve flight and understand the physics involved. This Water Rocket simulator software is described in the booklet and helps you improve flight and understand the physics involved (be amazed at the temperatures of water and air leaving the rocket). Results, photos and videos from previous years' Water Rocket Challenges.